Whether on water, land, or in the air, military watches are useful everywhere. They're robust, functional, and relatively affordable even when new. An older military watch with a documented history, however, can reach astronomical prices. Military watches should, above all, be reliable and fulfill their purpose - no more, no less. Failure while the watch is in use can result in grave consequences. Military watches have no superfluous extras. Stainless steel and plastic are the main case materials used, as gold watches for regular military equipment do not fit most budgets. A military watch can't be too expensive, seeing as they're distributed en masse to the troops. In any case, there is no clear cut definition for a military watch. This is why some watches are labeled as military watches even though they were originally meant for civilian use. Usually, they have common military watch characteristics, but have been sold on the regular market like any other watch. Thus, a soldier may indeed be a customer, but these still aren't "real" military watches. Watches that exist solely because the air force, marines, or army requested them are rare. Most are only introduced later as part of the brand's regular selection of watches available to everyone. One example of a watch like this is the most well-known pilot's watch, the Mark 11 from IWC. Created in 1948 to fulfill the wishes of the British Ministry of Defense, it was first the service watch for the Royal Air Force. Both IWC and Jaeger-LeCoultre delivered Mark 11s to pilots. The RAF gradually phased the watch out at the beginning of the 1980s. IWC continued developing the series, staying close to the original and also changing the numbers in the name to Roman numerals. The 2016 model is called the Mark XVIII. Clear and legible dials are no longer just for military pilots and their crews; they're a standard characteristic of IWC watches. The same applies to some legendary diving watches. Blancpain developed the Fifty Fathoms for the French combat diving unit, Les Naguers de combat. The Fifty Fathoms featured a unidirectional bezel and has been competing with the Rolex Submariner for the title of the first diving watch in the world since its premiere in 1953. Blancpain offers the Fifty Fathoms in versions that are based on the one from 1953. There are also models in gold or white gold with special features such as diamonds or a tourbillon. These special watches are similar to the military watches in name only. The Panerai Radiomir has a similar history. The Italian Marines turned to Panerai in 1938, as they needed a reliable and legible diving watch. Panerai created a watch that was named Radiomir after the luminous, radioactive material used. The Marina Militare gave the elite combat unit Gamma the Radiomir. Initially, the timepiece was shroud in secrecy. After Panerai replaced the harmful radioactive material with a harmless one, the diving watch was renamed the Luminor in 1950. The Radiomir is available today once again, but the luminous hands and indices are not radioactive. Two additional famous diving watches from the 1950s were also used by the military: the Rolex Submariner and the Omega Seamaster 300. However, the Submariner and Seamaster weren't originally conceived for the military. The Submariner had already been in production for four years when the British Ministry of Defense began searching for a good diving watch. They chose the Rolex, but not the regular, civilian version; rather, they asked for some changes. The metal bars for the strap were integrated into the case, and the strap became a continuous textile strap (NATO strap) so the watch couldn't be lost. The larger bezel is made of silver, a relatively soft metal which doesn't suffer cracks or break on impact. Rolex used tritium as the luminous material. These models have an encircled T on the dial above the depth indicator. Rolex produced these military Submariners until the late 1970s. The British military also used the Omega Seamaster. However, unlike its name would suggest, the Air Force were the first to use the timepiece. At its start in 1948, the Seamaster wasn't a diving watch. It only became a diving watch when the Seamaster 300 model was released in 1957. The Omega Seamaster 300 was soon part of the Royal Navy's Special Boat Service gear. Today's Seamaster 300's design is reminiscent of the version from 1957. For years, the Vostok Amphibia enjoyed cult status in the West as well. This watch is an inexpensive, mechanical Russian diving watch. Its construction and design have barely changed since its introduction in the late 1960s. In order to fulfill the demands of the Soviet Ministry of Defense, designers Michail Novikov and Vera Belov came up with a revolutionary sealing concept. The deeper one dives, the more intensely the edge of the Plexiglas pushes against the o-ring, which creates a seal protecting the front side of the watch. The stronger the water pressure is, the better the waterproofness is. The case back is positioned on a large rubber ring and a steel ring is also screwed on to the case. This results in both the case back and o-ring pressing against the case. Unlike other well-known diving watches, the case back is not screwed down. The Amphibia's rubber ring is neither horizontally compressed or stretched, which can happen when a screw-down back is tightened or loosened. Thus, the o-ring must only be changed in exceptional cases, while in regular diving watches, the piece is considered expendable. With the Chronospace Military, Breitling introduced a watch that proclaimed to be a military watch directly in its name. 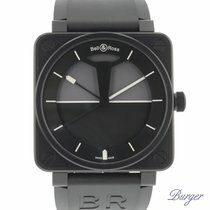 It's powered by a quartz movement and has an analog as well as a digital display. The Chronospace Military features an alarm function, a timer, and a second time zone display. It's waterproof to 50 m (5 bar), which isn't particularly impressive for a 4,000-euro watch that claims to be a military watch. Countless watches in a less expensive price range carry the title Swiss Military. These watches fall into three different categories: Swiss Military from Bubendorf, Swiss Military Hanowa from Möhlin, and Swiss Military by Chrono from Solothurn. Less expensive quartz watches play an important role in the Swiss Military market. 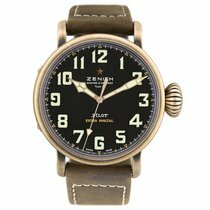 In any case, the less expensive and reliable quartz watches have prevailed amongst the military and are still worn by troops today. Navy SEALS use Luminox watches. Soldiers often wear a Traser or a Casio. A Submariner or Fifty Fathoms is no longer a piece of military equipment, but rather a luxury item. Are you looking for a sporty watch that also functions perfectly in adverse conditions? Military watches are not only functional, but incredibly robust and legible as well. Some military watches have even reached cult status. The Submariner is one of the most famous watches of all time. The incredibly rare, early version of the Submariner has the reference number A/6538. Other reference numbers to keep an eye out for are 5513, 5517, and 5513/5517. However, a search for the 5513 results in not only military Subs, but civilian Submariners as well. The 5517 is especially sought after; it can be identified partly by its sword hands. The price of a military Submariner heavily depends on its condition and availability. Even a non-military Rolex watch, reference number 6538 from the 1950s, costs around 40,000. The military version is much more expensive. Over the course of 30 years, there were only 1,200 - 1,300 military Submariners produced, making prices over 100,000 possible. A few 5517s have already been sold for almost 150,000 euros. Frequently, dealers only first reveal their desired price upon request. As a buyer, you have to decide if you're more interested in a historical or modern military watch. The price is often the same. A German pilot's chronograph with one push-piece from Hanhart from the Second World War costs around 8,000 - 9,000 euros. A new automatic Blancpain Fifty Fathoms diving watch with a traditional design also costs around that amount. For the Fifty Fathoms versions with a red gold case, you should plan to pay around 23,000 euros. However, these price ranges are not typical. Normally, modern military watches are good everyday watches with an excellent price-performance ratio. When new, you can usually buy them for less than 1,000 euros; this especially applies to quartz-powered watches. A mechanical Vostok Amphibia costs less than 100 euros and has an in-house automatic caliber, 2146 B.